Certain professional procedures are required of an employer at the workplace in other to prevent work injuries. One among these is a well set up and thorough training on work procedures in order to avoid accidents and any other possible injury causing occurrence. Results have proven that working environments which adhere to this conduct have had a massively reduced accident rate, as against working environments that do not, for such reasons as cost or sheer negligence from the employers. In these places have the higher accident rates been reported. We believe that the good of the employee should be a major concern of the employer and where they have failed to perform in this regard, at Rawa Law Group, we take it upon ourselves to see that the employee is treated as best he should, through appropriate compensation for injuries incurred. With over 20 years of ensuring that claimants have benefited as rightly they should, we are California’s top work injury attorneys. 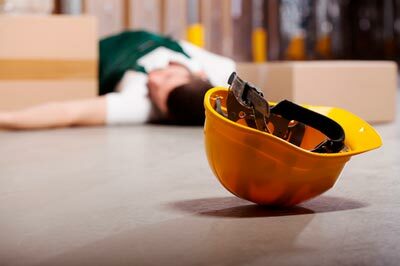 Rawa Law Group has the professionals you need to ensure that you are rightly compensated for whatever workplace injuries you’ve incurred as a result of the carelessness of the employer. We will provide you with a personal work injury attorney in Palmdale who will work thoroughly to ensure that your accident claim settlement is maximized. We also ensure that you incur no losses on your part, thereby requiring no payment for our services until your compensation has been paid.